You Save: $10.01 (50%) Ships in 1 day. Producer: Delaware Valley Video, 2013. Sit back, crack open a cold one and see the history of beer and brewing in Brooklyn, New York. This 50 minute documentary explores the origins of the brewing industry in Brooklyn from early 1800s up to and including the modern day craft brewers and home brewers who are helping to transform the borough into one of the most sought after places in the world to live and work. 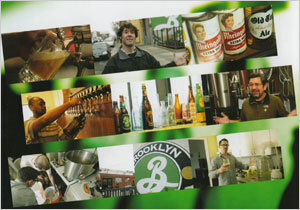 The film features interviews with historians, brewers and beer lovers alike and includes vintage footage and excerpts of classic Brooklyn beer commercials. 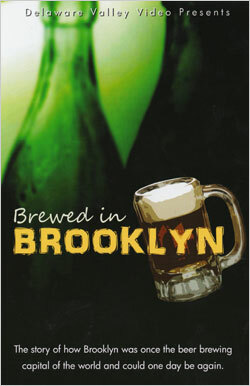 "Brewed in Brooklyn" is must see DVD for anyone who loves beer, Brooklyn or history. Interviewees include lengendary beer historian and author Will Anderson; founder of Brooklyn Brewery, Steve Hindy; and a former Miss Rheingold model. Come join the fun! Produced by filmmakers John Weber, Kim Bjorheim and Bennet Aube.